Lily Fox-Bruguiere, Coordinator at the Thomas Jefferson Center for Historic Plants, shares information on how to care for roses after their peak bloom time. There are many reasons to prune your roses, but how and when you prune them depends on whether the plant is a single or repeat bloomer. Single bloomers flower on old wood, so you shouldn’t prune them until after they have bloomed. The Center for Historic Plants, established at Monticello in 1987, collects, preserves, and distributes historic plant varieties and strives to promote greater appreciation for the origins and evolution of garden plants. The CHP has a beautiful rose garden and rose border on site at Tufton Farm. The Rose Border includes varieties first identified as early as the 1400s and the Léonie Bell Rose Garden, established in memory of rose enthusiast and author Léonie Bell, features over 30 noisette roses. In Notes on the State of Virginia, begun in 1781, Thomas Jefferson recorded that the gardens of his native state “yield musk melons, water melons, tomatoes, okra, pomegranates, figs, and the esculent plants of Europe.” It wasn’t until 1809, however, that Jefferson began to plant okra on an annual basis at Monticello. Jefferson experimented with this African native. He generally planted okra in late March or early April. In 1817, for instance, he noted its planting in Monticello’s Vegetable Garden on April 2 and its arrival at table on July 28, over sixteen weeks later. In 1813, Jefferson edged his “square,” or plot of tomatoes with okra – a rather unusual combination of plant textures. When Southern Living’s “Grumpy Gardener” Steve Bender visited Monticello, he was delighted to see Cow’s Horn Okra, an heirloom variety with distinctive curved fruits, still growing in the Vegetable Garden today. Bender says okra is the “quintessential southern vegetable” and that Jefferson popularized many of today’s culinary southern staples. A member of the mallow family, okra is both tasty and beautiful with large, handsome yellow flowers. The young fruiting pods were often combined with tomatoes for soups in Jefferson family recipes. Jefferson’s daughter, Martha, left a recipe for okra soup, in effect “gumbo,” marking the early Africanization of the cooking of Virginia gentry. Gumbo works as a compelling metaphor for Monticello’s garden: a rich blend of American native vegetables grown by American Indians like lima beans and cymlins mixed with South and Central American discoveries adapted by both northern (potatoes) and southern (tomatoes) Europeans, and tied together by an African plant, okra. The gumbo recipe below was attributed to Martha Randolph in her daughter Virginia Randolph Trist’s manuscript and edited for modern use by Damon Lee Fowler in Dining at Monticello. The recipe is derived from classic African “long-pot” cooking and served with rice as per West African tradition. For authenticity, try this soup with fresh okra, truly vine-ripened tomatoes, and an all-natural, grain-fed chicken weighing no more than three pounds. Bring the water to a simmer in a large saucepan or Dutch oven. Stir in the okra and onion and return to a simmer. Reduce the heat as low as possible and cook at a bare simmer for 1 hour. Add the lima beans and simmer for another 30 minutes, or until the beans are just tender. Season liberally with salt and a few grindings of pepper and add the chicken, salt pork, herb bundle, and squash. Raise the heat briefly to return to a simmer, lower it once more, and cook at a bare simmer until the chicken is fully cooked, about 1 hour. Add the tomatoes and continue simmering for another hour. Remove from the heat and discard the salt pork and herb bundle. The soup can be made ahead and cooled, covered, and refrigerated. When chilled (about 6 hours or overnight), remove and discard any fat that surfaces. Otherwise, let it cool until all the fat settles to the top, and skim it off. When ready to serve the soup, return it to a simmer over medium heat, Knead together the butter and flour in a small bowl and stir it into the soup, simmering until lightly thickened, about 4 minutes. Serve it in warmed bowls with a whole piece of chicken in each bowl and about ¼ cup of white rice spooned into the center of each serving. Of the many fruit species Thomas Jefferson cultivated in his Monticello gardens, his collection of apple trees were one of his most consistently successful crops. Peter J. Hatch, the Director of Monticello Gardens and Grounds for over 34 years, said, “The apple was a standard, every-day fruit at Monticello…Jefferson’s cultivation of the apple was exceptionally discriminating as he concentrated on only four varieties.” Jefferson’s eight-acre Fruit Garden, called the “Fruitery” in Jefferson’s Memorandum notes, yielded a wide variety of fruit trees and special fruit plants. Included within the Fruitery was the North Orchard, a grove of about two hundred apple and peach trees. These trees were propagated from seed, which often resulted in interesting variations that remained unnamed and were unique to Jefferson’s garden. With Jefferson’s favorite apple trees cultivated by the Thomas Jefferson Center for Historic Plants and featured at The Shop at Monticello, you can plant your own Fruitery. Each hardy variety produces a unique and delicious fruit that you can enjoy year after year. Description: Vintage variety. Semi-dwarf, deciduous fruit tree. Grows 10 to 12 feet high. Extremely productive variety, stores well through the winter. Taste: The fruit has a greenish skin and a crisp, tart taste which ripens in early fall. 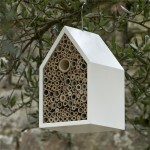 Great for eating fresh, cooking, homemade cider and juice. History: Jefferson planted several “Roxbury Russet” trees in Monticello’s South Orchard in 1778, referring to them as “russetings” because of the distinctive flaking russets on the skin of the fruit. These were one of the more popular apple varieties in the eighteenth and nineteenth centuries. Description: Heirloom variety. Limited distribution in United States. Semi-dwarf, deciduous fruit tree. Grows 1o to 12 feet high. Stores well during cold months in a cool cellar or refrigerator. Taste: The fruit flesh is greenish-white, juicy, crisp, tart, and with a fine aroma. Considered one of the best keeping apples. 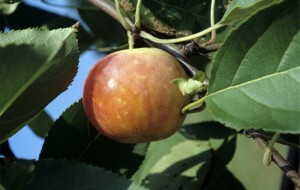 History: The “Albemarle Pippin” was one of Jefferson’s two favorite table apples. 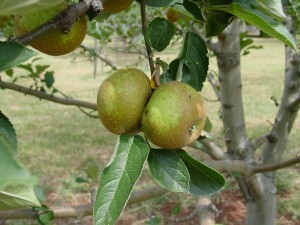 He planted as many as 50 Albemarle Pippins in the Monticello Fruitery between 1769 and 1814. Benjamin Franklin reputedly introduced the variety into England as an example of superior American fruit. Description: Semi-dwarf, deciduous fruit tree. Grows 12 to 15 feet high. Bears handsome red apples which ripen in late autumn. Taste: Fruit features a firm, juicy yellow flesh with a delicious, brisk, rich flavor. Particularly excellent for baking pies. History: The “Esopus Spitzenburg” was Jefferson’s other favorite apple variety. He planted 32 of these trees in the Monticello Fruitery between 1807 and 1812. 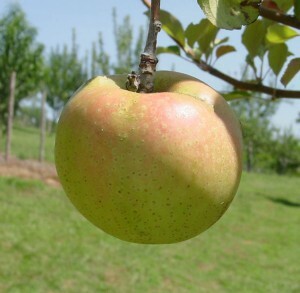 This apple variety is still considered one of the world’s finest today. Description: Hardy fruit tree that can be grown as an ornamental. Grows to eight feet. Yields small rounded fruits of a dull red streaked with green, which ripen in early autumn. Taste: Fruit produces a delicious cinnamon-flavored cider that is both sugary and pungent. Considered the finest cider apple by apple connoisseurs. History: This was the most common fruit variety grown in eighteenth-century Virginia. 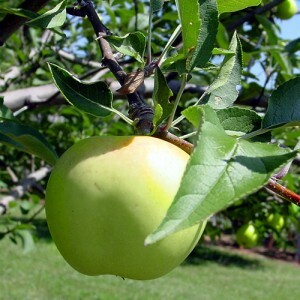 Jefferson planted his entire North Orchard exclusively with this variety from which several batches of homemade cider were made over the years. Even if you don’t grow your own, you can still bring ‘apples’ to your table! Monticello Handcrafted Apple Spoons are created from branches pruned from apple trees in Monticello’s Orchard. 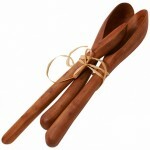 The spoons are beautiful and functional, perfect for serving salad or a delicious fruit cobbler dessert. Our collection of fruit butters are the perfect addition to a breakfast or lunch spread. Wonderful on biscuits, toast, and sandwiches, Monticello’s Apple Butter, Peach Butter, and Strawberry Butter are staff favorites. 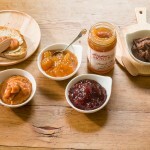 Our fruit butters contain no preservatives and are truly versatile spreads. 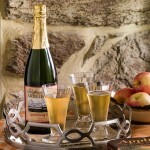 Monticello kitchen records reveal that apple cider was a staple beverage at most meals. Jefferson’s extensive apple orchards were vital to the production of his homemade cider. The non-alcoholic Monticello Sparkling Cider is reminiscent of the third president’s preferred beverage. 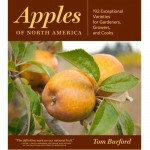 Apples of North America is brimming with beautiful portraits of heirloom and modern apples of merit, each accompanied by distinguishing characteristics and common uses. As the view broadens to the orchard, you will find information on planting, pruning, grafting, and more. The exploration of the apple culminates with an overview of the fruit’s transformative capabilities when pressed, fermented, cooked, or dried. The Fruits and Fruit Trees of Monticello details Jefferson’s extensive Fruitery and orchards. 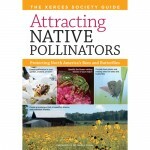 Jefferson cultivated over 170 kinds of temperate fruits; this book explores his methods and research that helped him become a successful fruit farmer. 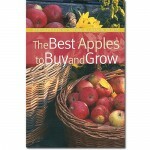 The Best Apples to Buy and Grow provides plenty of information on growing and cultivating apples in your backyard, as well as tips on purchasing and cooking with apples. It’s handy to take along when visiting farmer’s markets and roadside stands, and will help buyers choose from the bounty of treasured heirloom breeds and tasty new types. This year, experiment in your own garden or inspire your gardening-enthusiast friends with Jefferson’s successes cultivated by Monticello and the Thomas Jefferson Center for Historic Plants. 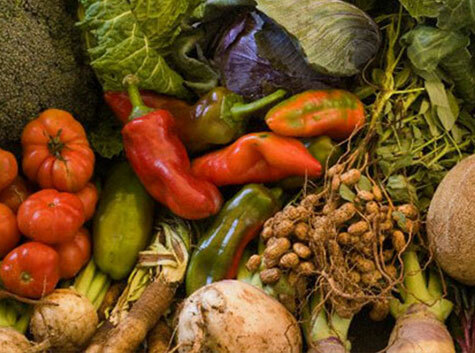 These tasty heirloom varieties are sure to spice up your garden and your plate. Thomas Jefferson was a pioneer in tomato culture; planting this relatively unfamiliar vegetable from 1809, the first summer of his retirement, until his death in 1826. He also noted that tomatoes were grown in Virginia gardens in Notes on the State of Virginia, 1782. Costoluto Genovese is an old, indeterminate Italian preserving tomato. Although an oddity in today’s vegetable garden, this variety’s heavily-lobed and convoluted shape reflects the character of early 19th-century tomatoes. Its stellar flavor is intense and acidic; its unusual shape makes it most suitable for sauces and pastes after its skin is removed. Sow seeds ¼” deep in pots indoors 6-8 weeks before last spring frost; keeping the soil moist but not soggy. When several leaves have developed, harden off the seedlings outdoors, then transplant to the garden 18″–36″ apart. 85-90 days to maturity. Thomas Jefferson experimented with this African native, first planting it in 1809 and edging his tomato square with a border of okra in 1813. Okra, a member of the Mallow family, is a highly ornamental vegetable with its large, tropical leaves and handsome yellow flowers. Jefferson family recipes include various types of okra stews in which okra was blended with tomatoes and other tangy vegetables. Steve Bender, the “Grumpy Gardener” of Southern Living, believes okra is the “quintessential southern vegetable” and that Jefferson set many of today’s southern staples. ‘Cow’s Horn’ is a heirloom variety with distinctive curved fruits. Plant seeds after the last spring frost in fertile, sunny, well-drained garden soil. Thin seedlings so they are at least 8″ apart. Harvest the young fruits when they are no longer than 3″ long. Tennis Ball was among Thomas Jefferson’s favorite lettuce varieties. He noted that “it does not require so much care and attention” as other types. Tennis Ball, the parent of our modern Boston race of lettuces so popular today, was first sold by American seedsmen late in the 18th century. The variety was recently enjoyed by the current President and his family when it was planted in the section of the White House garden inspired by Jefferson in 2010. Tennis Ball is distinctive for its delicate, pale-green leaves, which form a loose head. Sow seeds early in the spring, as soon as the ground can be worked, in rich, well-prepared soil and thin seedlings to six inches apart. Tennis Ball is also suitable for fall crops that may be planted in late summer. 55 days to maturity. During his presidency, Jefferson kept a pickle barrel for guests in his house and this heirloom is a great option for pickling today. The “gerkin,” Cucumis anguiria, was a surprisingly common crop in the late summer Monticello vegetable garden, planted in six seasons between 1812 and 1824, sometimes in July. Jefferson recommended it to his brother, Randolph, in 1813: “the season being over for planting everything but the Gerkin. It is that by which we distinguish the very small pickling cucumber.” This was likely the West Indian gherkin, a native of Africa brought to the Caribbean through the slave trade, then reputedly introduced from Jamaica by Minton Collins in his Richmond store in 1792. The West Indian gherkin is an aggressive vine with smallish leaves that are lobed like a miniature watermelon leaf. The short, three-inch, plump fruit are round, firm, and covered with blunt spines. Sow the seeds two feet apart in hills or rows from late spring until mid-summer. Harvest the fruits when 1” – 2” around, dress with salt for 24 hours, and then pack them into glass jars. Cover with warm malt vinegar and add ½ teaspoon of dill seed. Secure jars with air-tight lids: the pickled gherkins will be ready in about two months. Jefferson was sent seeds of this pretty, dwarf pepper by Samuel Brown from San Antonio, Texas in 1812 and 1813. Brown stated how the dried peppers were as “essential to my health as salt itself.” Jefferson, hopeful this species might be hardier than others, sowed the seed in pots and in square XII of the Monticello Vegetable Garden. He also forwarded seeds to Philadelphia nurseryman, Bernard McMahon, who apparently popularized the Bird Pepper as an ornamental pot plant in Pennsylvania. The Texas Bird Pepper is a lush, compact plant (one foot height) covered in early fall with tiny (1/2”), reddish-orange peppers. Samuel Brown said, “The Spaniards use it in fine Powder & seldom eat anything without it. The Americans … make a pickle of the green Pods with Salt & Vinegar which they use with Lettuce, Rice, Fish, etc.” Sow the seeds indoors a month before the last Spring frost, then transplant the seedlings into sunny, well-drained garden soil. Thomas Jefferson had a well-documented taste for peas and participated in pea growing competitions with his Monticello neighbors each spring. In the middle of the nineteenth century, ‘Prince Albert’ was the most popular of all the varieties of English Pea in the United States. It was grown in England before 1837 and introduced into the United States in 1845. Fearing Burr, who described American vegetables in 1863, felt ‘Prince Albert’ was indistinguishable from ‘Early Frame’, one of Thomas Jefferson’s favorites among the fifteen varieties he cultivated at Monticello. Garden peas enjoy cool, moist growing conditions. At Monticello, gardeners sow them around March 1 for a crop in mid-May. We also use four-foot-high branches, or “pea sticks,” to support this twining vegetable. Sow the seed in a well-drained, garden soil about six feet apart. 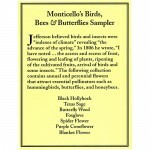 For 62 more varieties of vegetables visit www.monticelloshop.org! It’s Tomato Season at Monticello! It’s a delicious time of year here at Monticello and we decided to check in with our resident gardening experts to see how they like to eat their tomatoes or “love apples” as they were often referred to in Thomas Jefferson’s era. Find these tasty varieties and more like the German Johnson, Brandywine, and Prudens Purple Tomato in the Shop’s seed collection for the full Monticello “garden to plate” experience. 1) Slice a medium size onion thinly and fry it in olive oil in a saucepan on medium heat until it begins to brown. Add a glass of white wine to the onions. 2) Slice 1 lb. of Costoluto Genovese tomatoes, removing the petiole attachment and then adding to the browned onion in the pan. ( note: you can also use a blender rather than slice the tomatoes). 3) Add an half a vegetable bouillon cube or an equivalent amount of salt to the sauce. Bring the sauce to a simmer and then turn the heat down to low. The sauce should cook slowly for about an hour before serving with the pasta of your dreams. While there are many myths surrounding Jefferson and tomatoes, it is true that he and his relatives frequently ate, enjoyed, and helped popularize the vegetable. 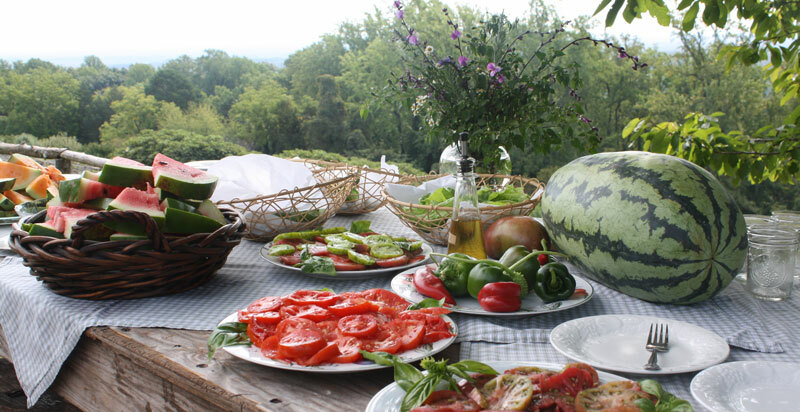 “Tomatas,” as Jefferson spelled the name, were widely used in the Monticello kitchen and several varieties were planted in the Monticello garden. Jefferson’s granddaughters left records of numerous recipes that utilized the tomato, including gumbo soup, tomato pickles, preserves, and omelets. Virginia House-wife, a cookbook by Jefferson’s cousin Mary Randolf, was one of the first appearances of tomatoes in an American cookbook. It contained 17 recipes featuring tomatoes including catsup, gazpacho, and stewed tomatoes. If you are a fan of this American heritage food, check out The Heirloom Tomato by Amy Goldman and Tomatoes by Miriam Rubin. Both cookbooks offer delicious tomato recipes and history. Along with the recipes and photos in The Heirloom Tomato, there are profiles of the tomatoes filled with fascinating facts on their history and provenance, and a master gardener’s guide to growing your own. More than just a loving look at one of the world’s great edibles, this is a philosophy of eating and conservation between covers – an irresistible book for anyone who loves to cook or to garden. Tomatoes includes recipes that celebrate the down-home, inventive, and contemporary, such as Stand-over-the-Sink Tomato Sandwiches, Spiced Green Tomato Crumb Cake, Green Tomato and Pork Tenderloin Biscuit Pie, and Tomato and Golden Raisin Chutney. Rubin also offers useful cooking tips, lively lessons on history, cultivation, and preserving, and variations for year-round enjoyment of the tomato. With our seeds and cookbooks, you can’t grow wrong! Need more recipes and food history to pair with those tomatoes? Check out our Jefferson and Pasta blog for Jefferson’s very own noodle recipe and the Shop’s latest pasta products.